Radar Men from the Moon is a 1952 black-and-white Republic Pictures’ 12-chapter movie serial, the first Commando Cody serial starring newcomer George Wallace as Cody, Aline Towne as his sidekick Joan Gilbert, and serial veteran Roy Barcroft as the evil Retik, the Ruler of the Moon. The director was Fred C. Brannon, with a screenplay by Ronald Davidson, and special effects by the Lydecker brothers. This serial recycles the flying sequences from Republic’s earlier 1949 serial King of the Rocket Men. It was later released by Republic in 1966 as the 100-minute television film Retik the Moon Menace. 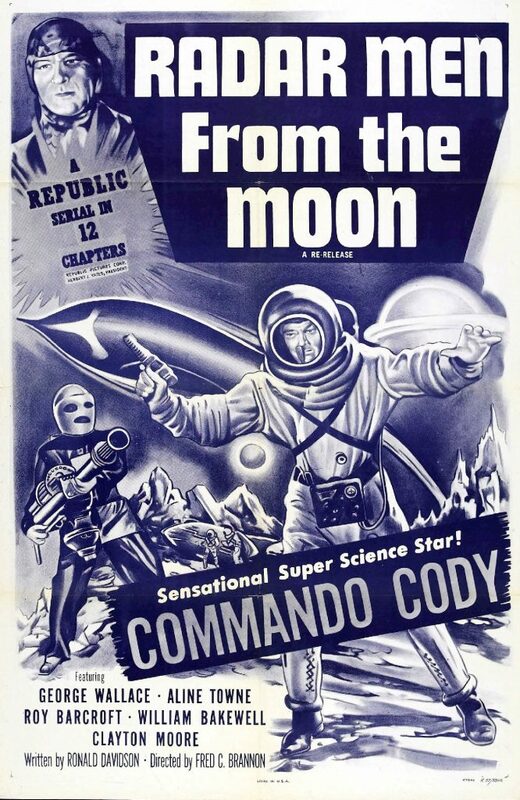 The odd naming choice of the serial’s main hero, “Commando Cody,” was possibly an attempt by Republic to make young audiences think they were seeing another adventure of Commander Corry, the hero of the popular ABC TV and radio series Space Patrol (1950–1955). There is, however, no surviving evidence that this was a consideration by anyone at Republic.